Home / Knitting blog / NEXT! What is it with the fruit flies? Don't they know that I'm going to drown them in vinegar and soap? Well, I'm on to the next thing. 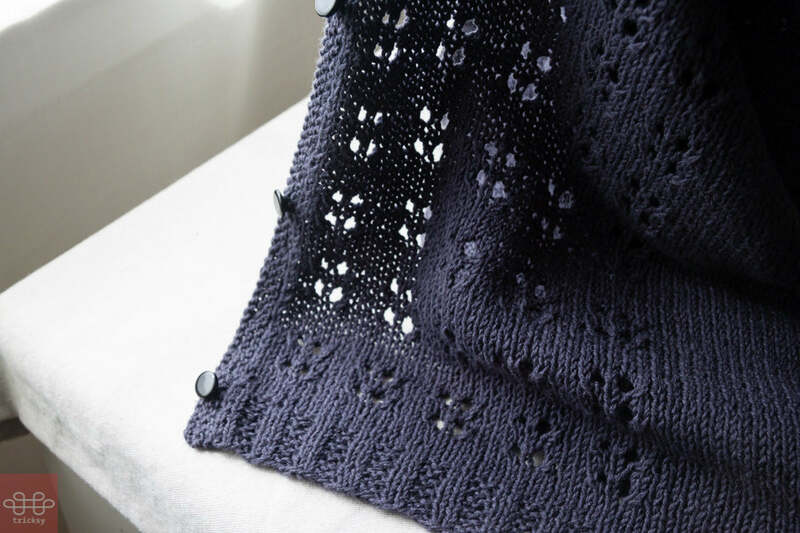 Putting the last finishing touches on the new summer cardigan pattern by day. By night, something in this lovely blue blend. I always think I'll take a break from knitting. And then it's evening, and we're watching TV, and my hands start twitching. This is Brezo from Americo Original. 40% wool 35% silk 25% linen. Yes, that is unusual. And very beautiful. 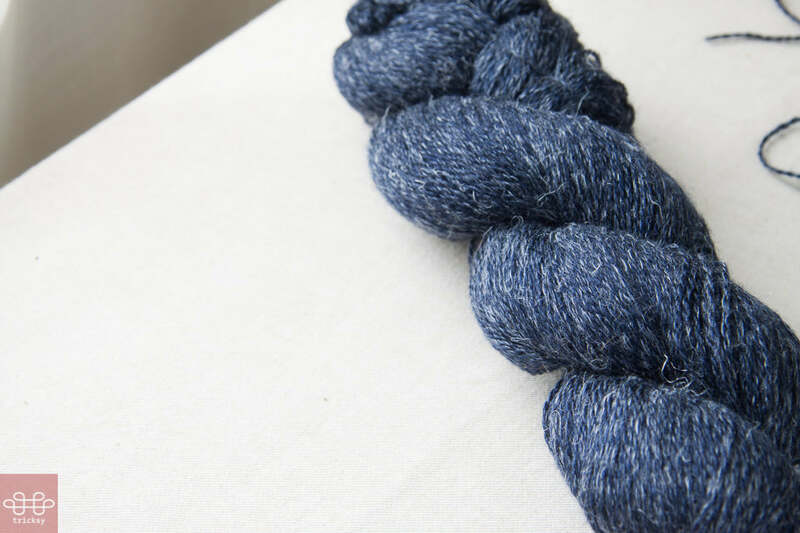 437 yards in a 100gram skein, but you can work it on 3.75mm needles and get a gauge of about 23 stitches over 4 inches. With something like this, the yarn is the main focus. No lace or cables or textures, which would get lost anyways. I'm thinking a classic little cardigan for fall. Not too loose, not too long. I love this blue with jeans. 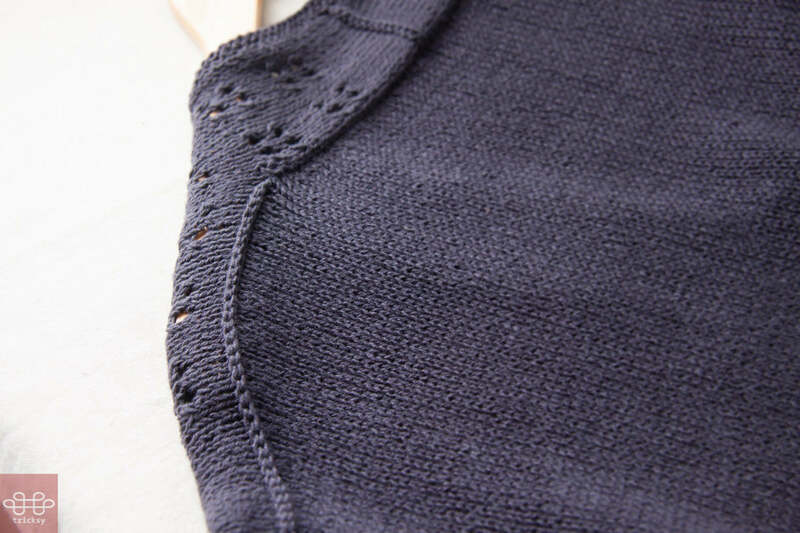 The other project, the new summer cardigan, which will be called Grenache, is coming soon. Here are a few shots of the details. I'm editing it myself, which means I proof and check the math a gazillion times. The sides. Split vent for extra ease at the hips (If you need it. Which I do.) Slightly longer in the back. 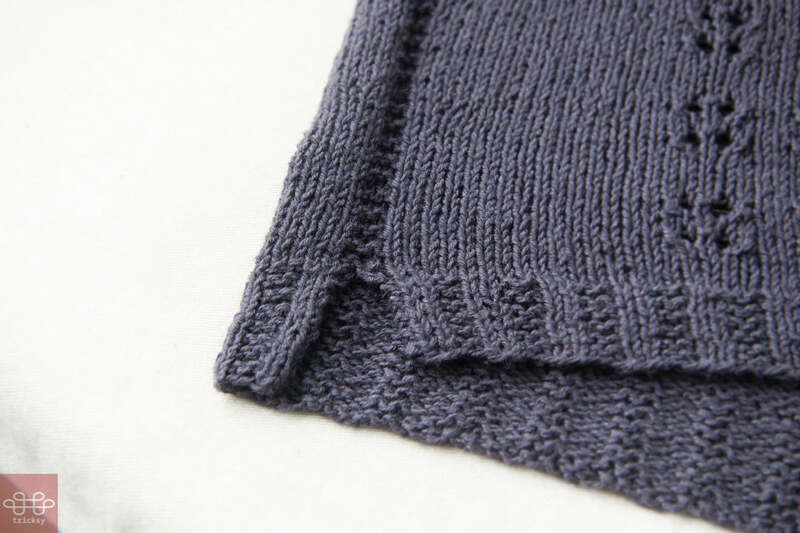 And a garter stitch detail running up the sides. The sleeves. 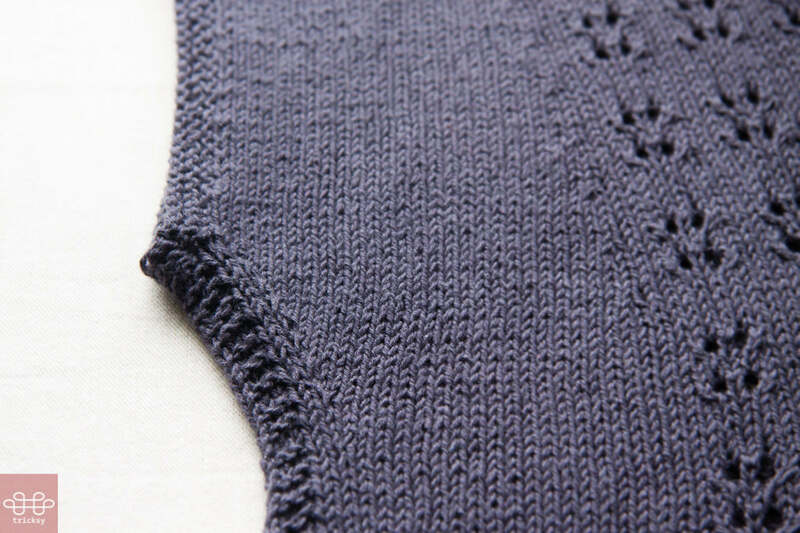 Seamless, short dolman sleeves with garter stitch edging. The back. Shoulders shaped with short rows and joined with a 3 needle bind off. The stitch. Just enough lace to make it airy, but not overly fussy.